Interesting new compositional approach, dear Galina! The apple tree of the foreground dominating the scene with the blurry church in the background as a secondary object! I like the idea and handling. Thank you very much dear Wahid! I'm glad you understood my intention. Here I not handling . 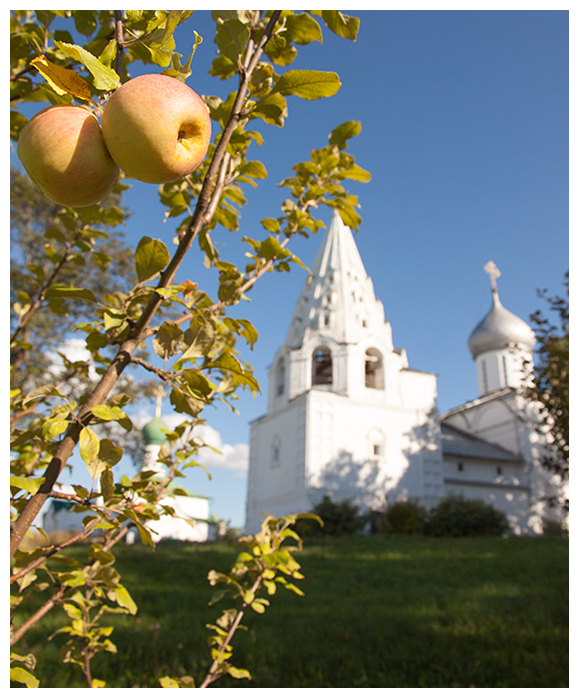 I zoom in zoom and focus made ​​on the apples, and the church turned out blurry. I like that effect in some aspects. Thank you very much, Reda ! So beautiful composition, Galina!! Excellent light and great atmosphere!!!! My congratulations and my to you!!!!! Thank you very much dear Jose! I am very pleased that you enjoyed it. Галь, это сорт такой... или потому что церковь рядом? Сразу для Адама и Евы.